I’d heard a lot about Blog On before buying a ticket, not least the rumours about amazing goody bags! I’d met a few bloggers before at the press launch of This Morning Live, but I hadn’t been to a blogging event as such. It was a long 7 month wait for Blog On Xmas after buying my ticket in February, but it didn’t seem to take long to come round! There’s just something amazing about being in an environment full of other people who are creative and write blogs. Unlike friends, relatives and others in day to day life, they ‘get it’. It’s great seeing others who you recognise from online and getting to meet them in real life. The atmosphere just buzzes with support and creativity; I’ve never experienced anything quite like it before. I met so many people that I’d consider friends and people that truly inspire me. 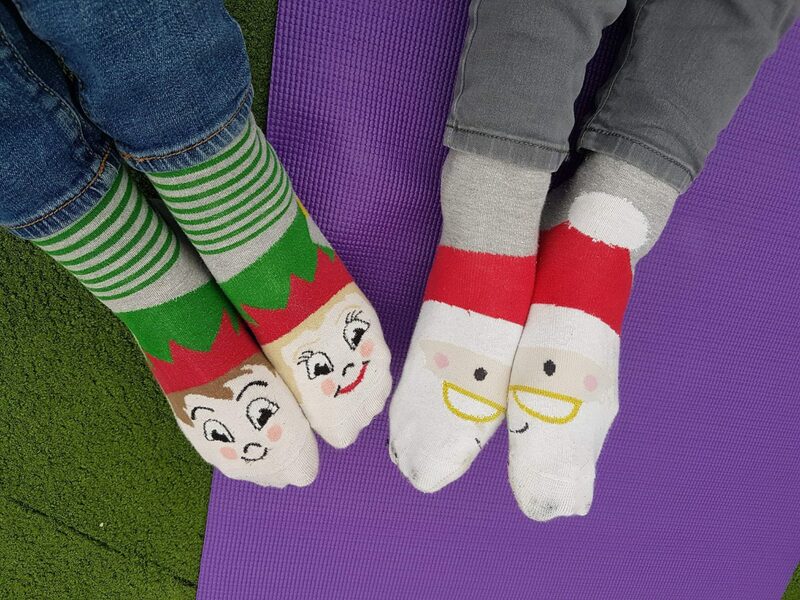 I was also pretty thrilled to find that I wasn’t alone in wearing Christmas socks despite the fact they were going to be covered practically all day, as Emma (The Cheshire Wife) had worn hers too! There were so many fantastic PRs and brands at Blog On. Some products I was already aware of, some were newly introduced to me. Everyone was lovely and helpful and many were happy to give samples of their products or offer them in return for reviews or a mention in a Christmas gift guide. It’s amazing being able to put faces to names, being able to interact with PRs directly instead of playing email tennis and discussing and trying out their products right there with them. 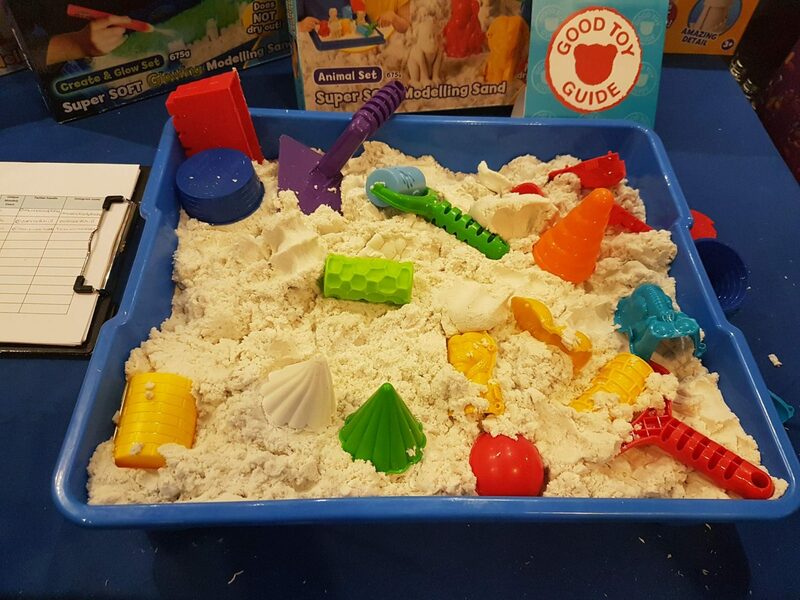 I had so much fun playing with awesome things like Giggle Wiggle, liquid lava putty and Sands Alive! Autumn isn’t old enough yet, so I get the samples all to myself at the moment, which is a bonus. There were some toys I’d heard of, such as Fingerlings, but hadn’t looked into any further as I had low expectations. I actually tried a Fingerling at Blog On and I loved it! It showed me that when it comes to children’s toys, I need to keep an open mind. As it was Christmas themed, we had a visit from the Grinch himself! He was fantastic the whole day, telling everyone off. He was absolutely disgusted by me, telling me off for my jumper (horrible) and turkey hat (stupid) every time he saw me. He even swatted the turkey at one point! 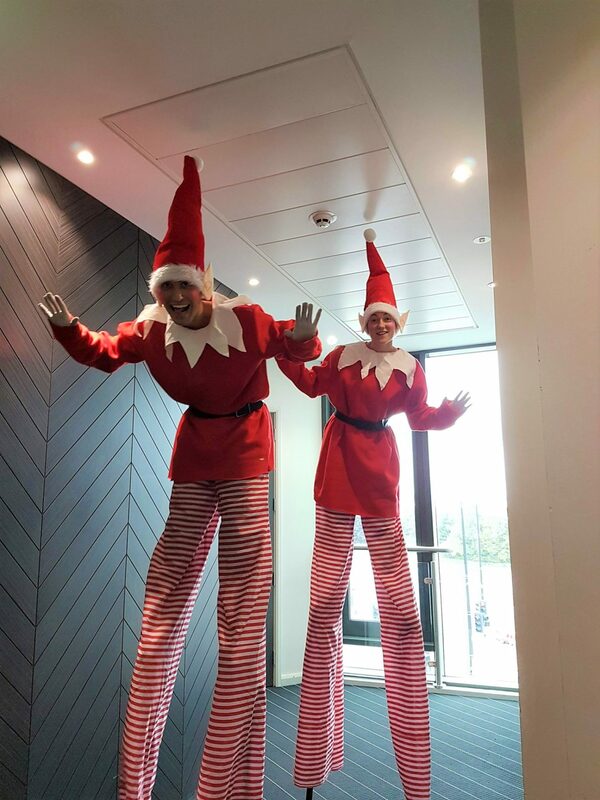 Unlike the Grinch, the elves were VERY festive! I laughed so much at the beginning of the day when I saw them cramming themselves into the lift. 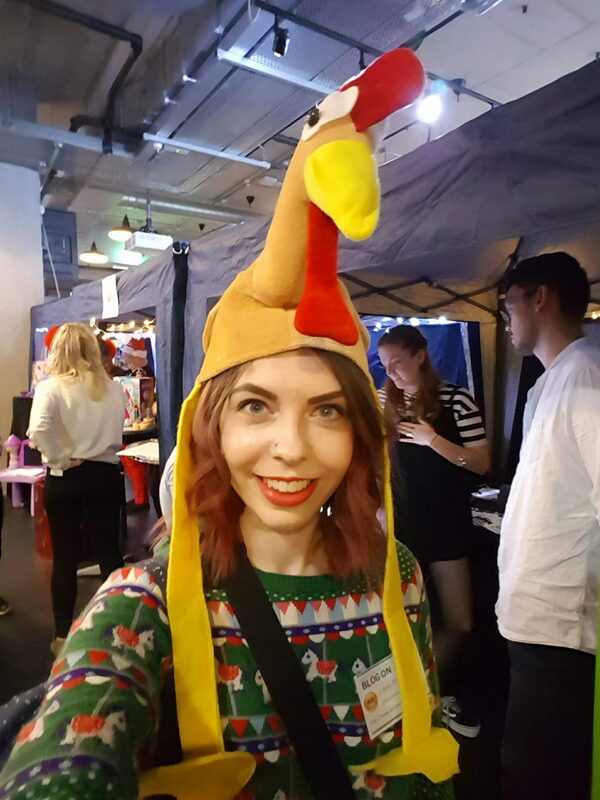 With my turkey hat, I soon became Elfie’s very best friend. Every time he spotted me he’d shout things like “Turkey!”, “Yay, turkey, it’s you again!” and “Turkey! My very best friend!” He even bent down to give me a hug at one point. I missed some of the sessions unfortunately, because I was so busy speaking to people that I didn’t notice the time! However, the sessions I went to were fantastic. So much effort went into them and I learned a lot over the course of the day. There’s a lot of variety, so wherever you’re at with blogging and whatever your topic is, there’s sure to be something of interest to you. One of my highlights was photo styling. I had so much fun and Lucy’s props and backdrops are stunning! It was a change of venue this year, not that I’d been to the old one, as this was my first event. The views from Hotel Football were amazing though. 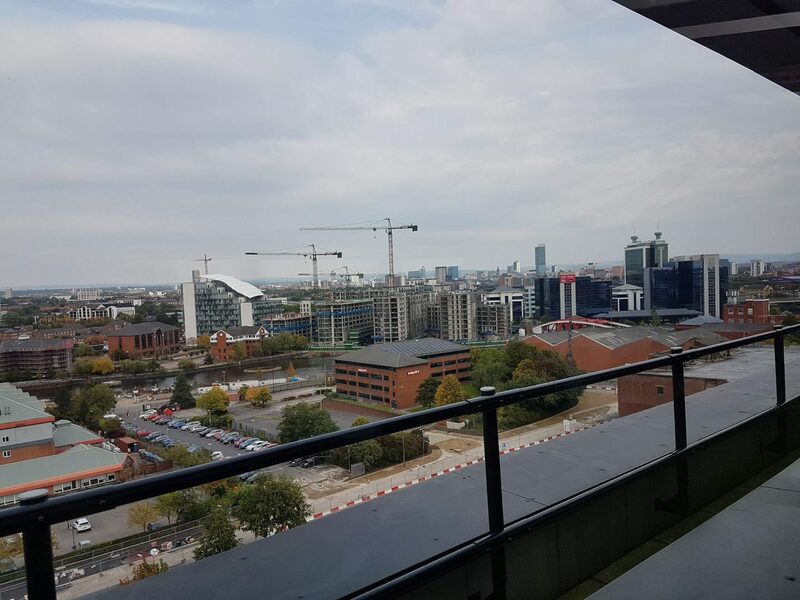 On the top floor (named Heaven), you could see over Manchester for miles! There was a great view of Manchester United’s stadium, Old Trafford, too. There were lots of competitions at the different stands during the day. They were all quite simple to take part in, requiring social media posts, often with the use of their props and/or merchandise. I was lucky enough to win a bag from Hotter Shoes and lots of games from John Adams toys! 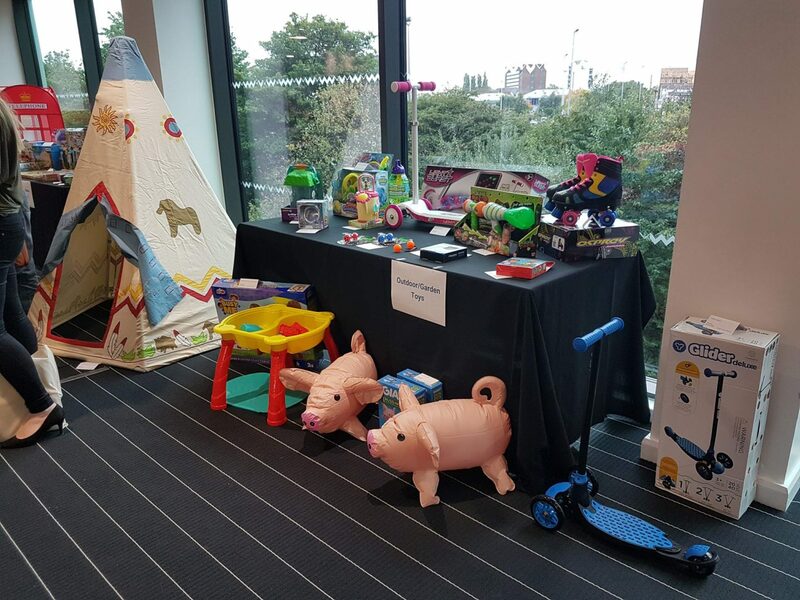 There’s a HUGE toy competition that you vote in (the BlogOn Toy Awards) at BlogOn Xmas. 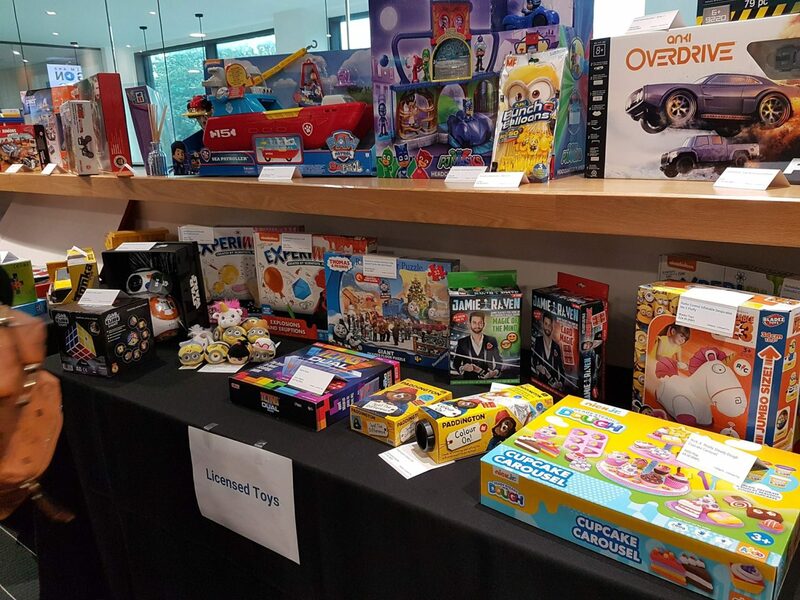 If you buy raffle tickets, you could be in with a chance to win them as they’re all raffled off at the end of the day! I didn’t win anything, but I was happy with my earlier wins – I couldn’t have carried much more anyway, to be perfectly honest! All proceeds go into a pot of money that is used to help bloggers in times of need. If you’ve heard of Blog On, then chances are you’ve heard of the amazing goody bags. So many amazing brands generously give samples of their products to us to take home. I struggled to leave the hotel as I had a full suitcase, a full rucksack AND a blue IKEA bag full! When people say you need a suitcase, they really do mean it! All in all, I had SUCH an amazing weekend! It was definitely worth the 5 hour journey from where I’m based in Kent and I’m looking forward to doing it all again next year! If you’ve not been before and you’re thinking about it, I definitely recommend it. It is quite a daunting prospect when you suffer with social anxiety like I do, but I only had one little wobble and had the best time! Ahh I wish I went to Blog on Xmas! Definitely going next year! Looks like you had an amazing time and you came home with some amazing goodies! I’m glad you had a nice time. 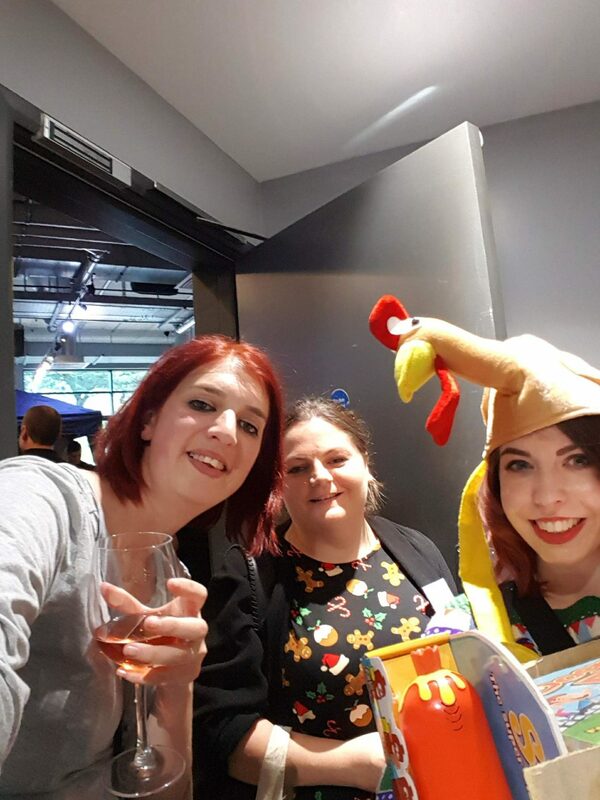 This was my 4th blog event but my 2nd blog on conference. It is really the best conference I hand to say and I can’t wait to attend again next year.